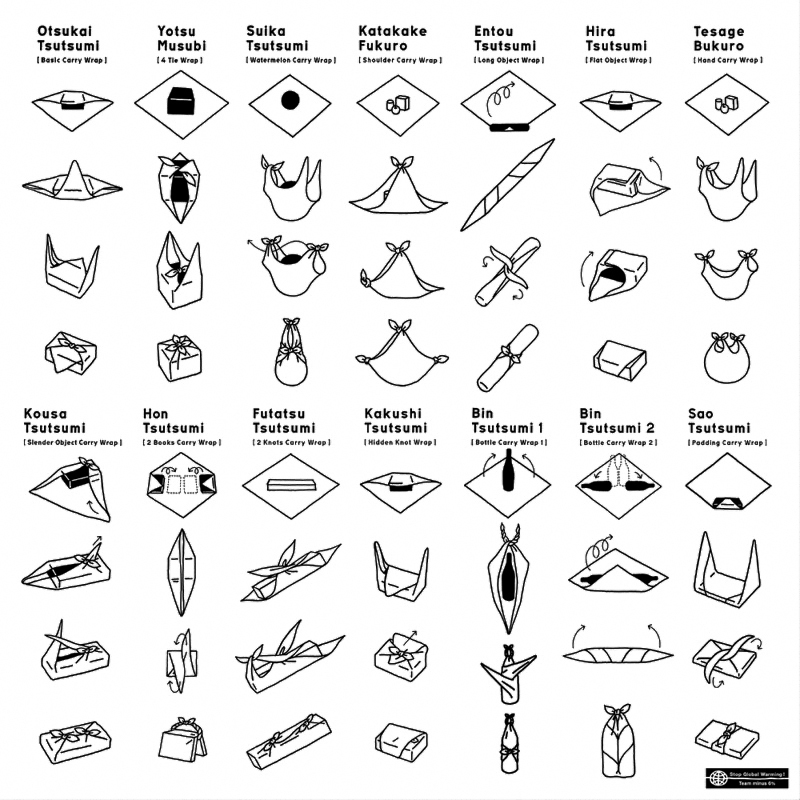 Furoshiki, the traditional Japanese wrapping cloth, has more than 1,200 years of history. The custom of using furoshiki dates back as early as the Nara Period (710-784) where it was used for keeping valuables belonging to the Emperors. The oldest wrapping cloth used in the Nara Period is currently in the safekeeping at the Shosoin (a wooden storage house at the Todaiji-temple in Nara). The tradition of wrapping or “tsutsumu” is deeply rooted in Japan. Wrapping of goods implies respect to others on the gift-giving occasion, and special meanings are associated with wrapping materials and wrapped goods. The idea of giving someone an unwrapped item is considered impolite in Japanese culture. For example, even a service tip given to a housekeeper at a Japanese inn would usually be placed in a small envelope. This is how we present our products to you! We admire this wrapping culture and would like to introduce it to you, therefore, we will carefully pack all items in a furoshiki and hope you will enjoy this subtle Japanese art. 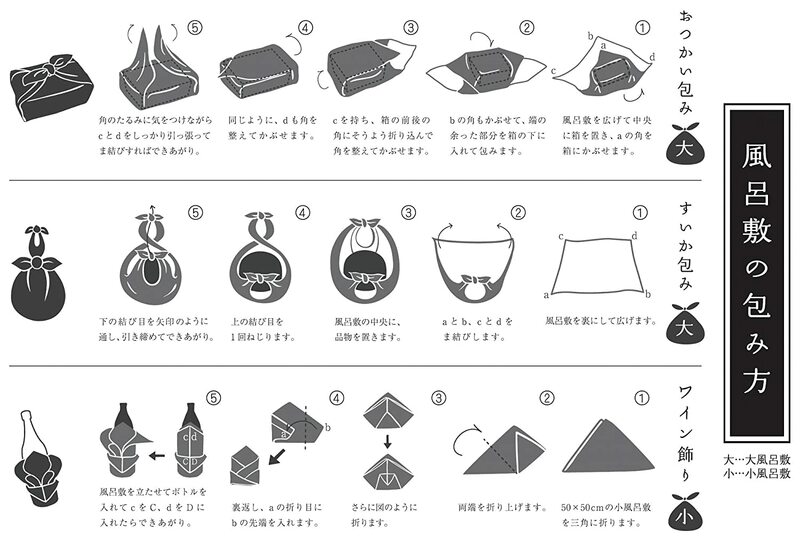 Simply select "wrapping in furoshiki" upon the check out process! This service is free of charge and is our way to express our sincere appreciation to our clients and also as our contribution to the environment.